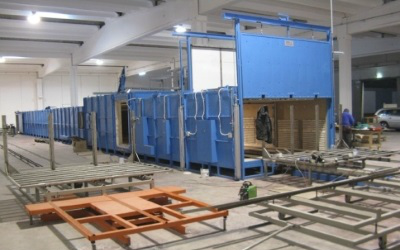 These systems may be of the static or continuous type with one or more heating chambers and preheating chambers, if required, to meet the different processing and productivity requirements. Very fast and easy to set up, these plate glass curving systems are equipped with automatic movements and with the possibility of automatic temperature regulation for each area of the furnace. 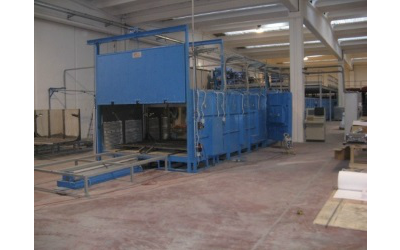 In particular, they are employed for the production of plate glass for the furnishing, lighting and building sectors, to make insulating or artistic glass, and for the automotive sector (laminated curved). Continuous curving systems with side return; continuous curving systems with lower return and heat recovery. 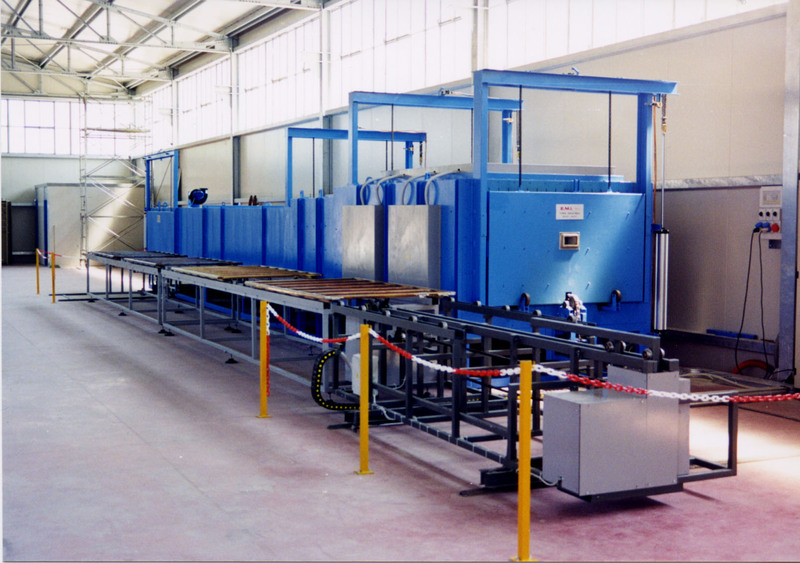 They consist of a loading station, of one or more heating cells where the curving process takes place, of one or more stabilisation zones, of cooling chambers, an unloading station, and of a trolley return device. All controlled automatically by a PC/PLC.